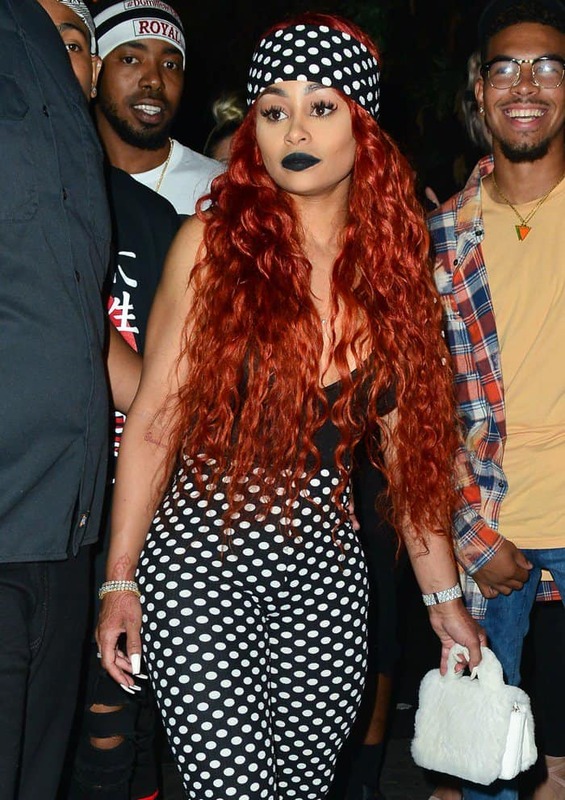 Blac Chyna showed off her booty and brand new vivid red hairdo while leaving Project Club LA in Hollywood on Saturday. 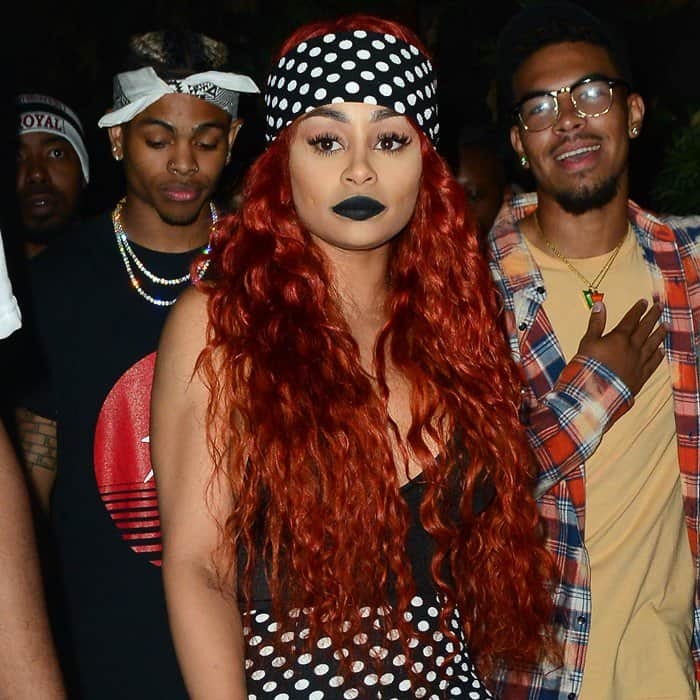 She was surrounded by a a group of people as she made her way out of the club, where she had hosted a VIP night alongside actor and MC Branden King. 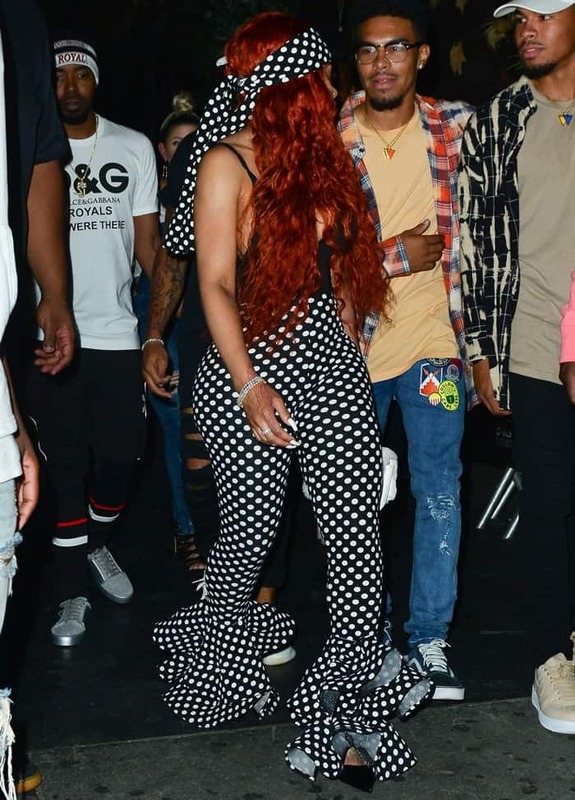 The 29-year-old reality star debuted her fiery red tresses in polka dot ruffle pants from the Shane Justin Collection paired with a cleavage-baring black bodysuit. She carried a fluffy white quilted bag and completed the dramatic look with sultry black lips, wrapped bands of glittering bracelets around both wrists, heavy brows and a smokey eye. Unfortunately we’ve not been able to identify her black pointy-toe pumps as they were hidden underneath her eye-catching racy jumpsuit. In an interview with Entertainment Tonight at the launch event for iGo.Live on Wednesday evening, Blac revealed that she’s focused on being a good mom for her two children while continuing to build her brand: “I plan on just being positive and working my brand. That’s really all I can do right now. And [to focus on] being a good mother, of course”.